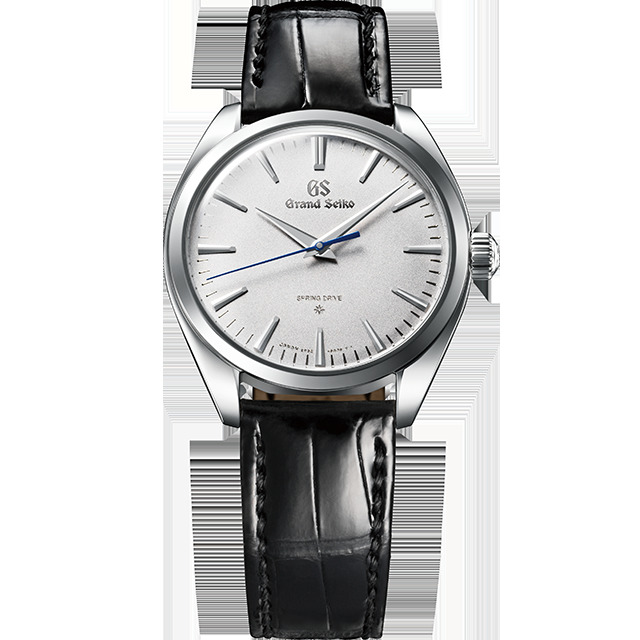 design of both calibers, and share the understated refinement and sparkle of quality that exemplify Grand Seiko’s uniquely Japanese sensibility. 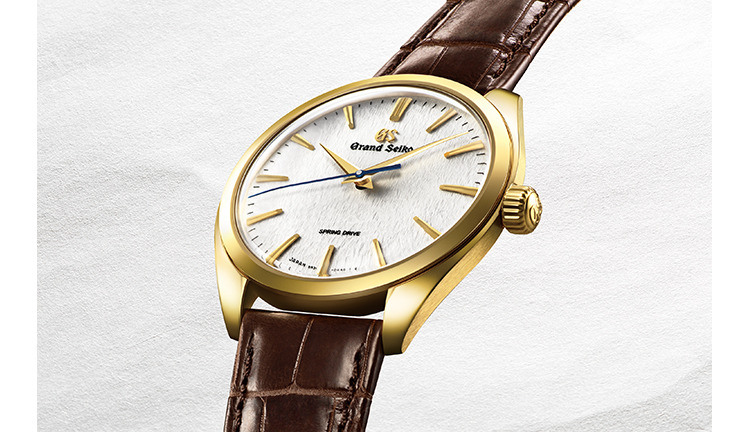 The series will be available at Grand Seiko Boutiques, Seiko Boutiques and selected retail partners worldwide from July, 2019. The Micro Artist Studio made its first contribution to Grand Seiko with the 8-Day Power Reserve Spring Drive watch that was greeted at Baselworld 2016 with great acclaim. This same elite team of watchmakers now presents Caliber 9R02, a new movement that has two mainsprings set in parallel within a single barrel and uses the unique Torque Return System* to deliver a power reserve of 84 hours. In every external aspect, the two watches that feature Caliber 9R02 are as striking as is the performance of the movement. The cases are of Platinum 950 and are just 9.8mm in depth. The hour and minute hands and hour markers are made of 14k white gold to ensure that their brilliance endures for decades. 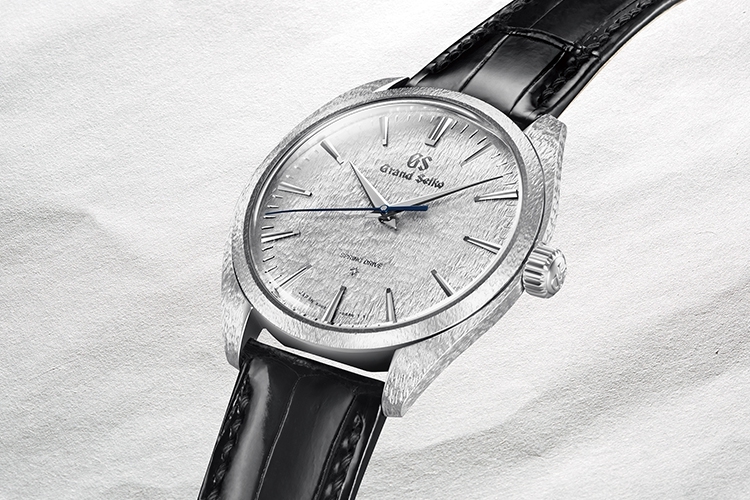 The Grand Seiko name, the minute markers and all the other markings are etched into the dial, and the power reserve indicator is visible through the sapphire crystal case back, next to the barrel whose shape echoes that of the bellflower that is the symbol of Shiojiri, where the studio is located. The two bridges have edges that are highly and painstakingly polished so that their brilliance contrasts with the perfect hairline finish of the bridges. One of the two watches is offered as a limited edition whose design expresses the beauty of the natural surroundings of the Micro Artist Studio. 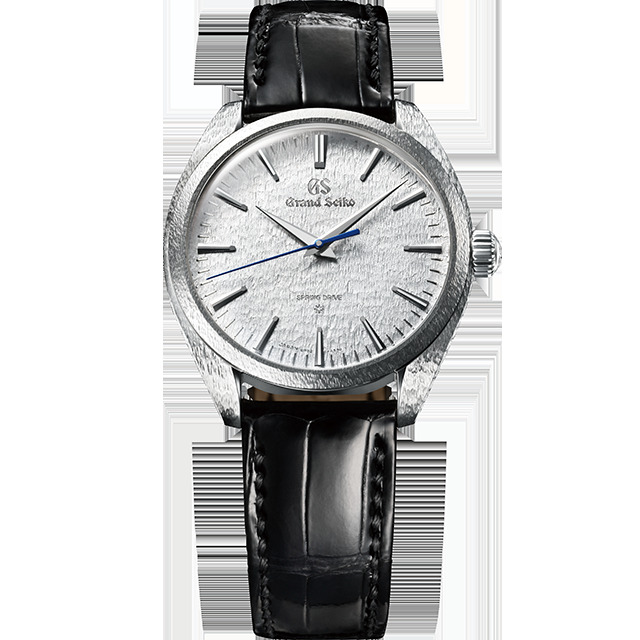 The dial features the celebrated “Snowflake” pattern which is inspired by the beauty of the snow in the Shinshu region. The dial’s silver finish complements the delicate hand carving on the platinum case. 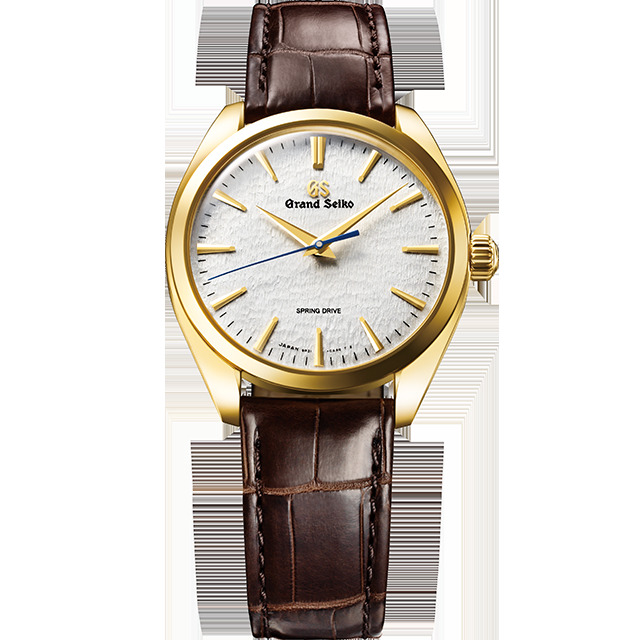 In addition, this limited edition has the words “Micro Artist” engraved on an 18k gold plaque set on the lower bridge. If the owner prefers, this plaque can be replaced with one that carries his or her name. * Torque Return System: When the mainspring has been fully wound and the torque output is at its highest, approximately 30% of the available power is not needed to maintain the precision of the watch, and is in effect wasted in a normal movement. The Torque Return System uses this energy to rewind the mainspring, resulting in an increase in the power reserve. In Caliber 9R02, this system is activated for 48 hours after the mainspring has been fully wound. Caliber 9R02 is assembled at the Micro Artist Studio by hand. The Shinshu Watch Studio joins the Spring Drive anniversary celebration. just 10.2 mm in depth. The overall design is classically Grand Seiko; understated and refined with the sharp hands and hour markers that allow the delicate interplay of light and shadow that is an essential part of the Grand Seiko signature.